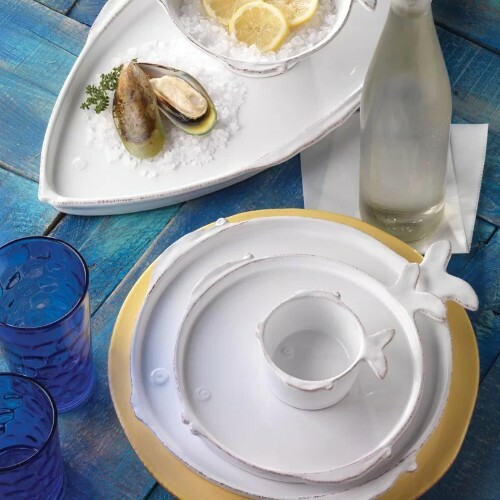 Coastal and ocean inspired tableware from Vietri, made with love in Italy. Italy's Amalfi Coast, since the 15th century. 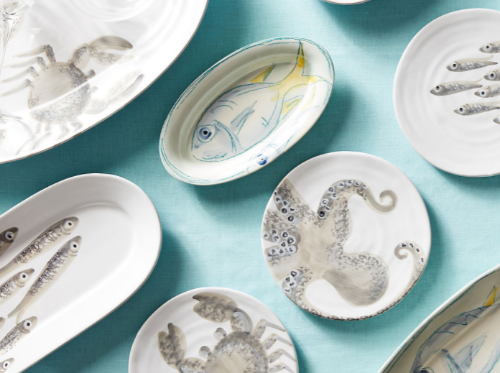 Vietri's Pescatore is the newest addition of ocean and coastal inspired tableware, utilizing a new technique that blends both crayon and paint. It infuses movement of fish in a combination of aqua, deep blue, and yellow. 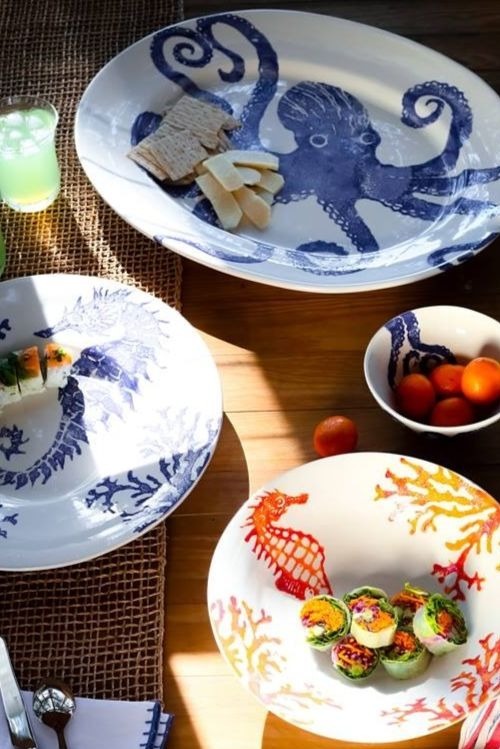 Vietri Costiera collection is a colorful mix of bold sea creatures in deep cobalt blue and bright coral. 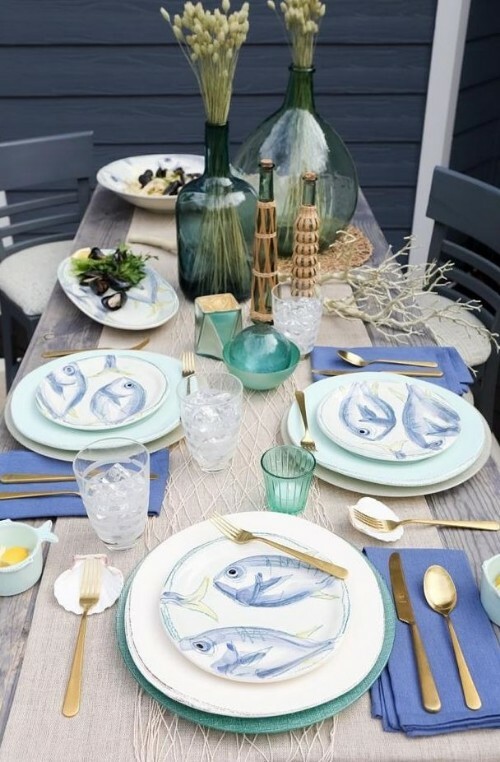 Lastra fishes is a cute collection of tableware in fish shape. 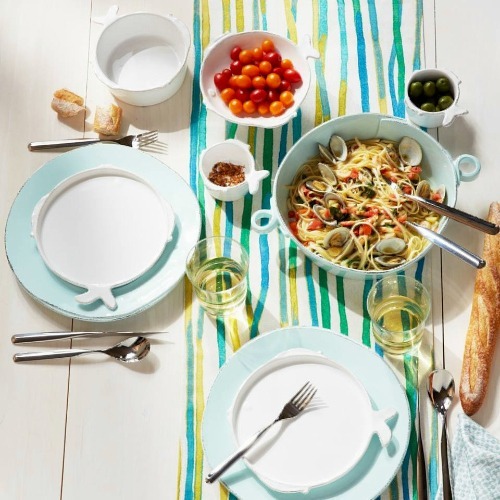 Vietri was created to bring the artistry of Europe to the United States. 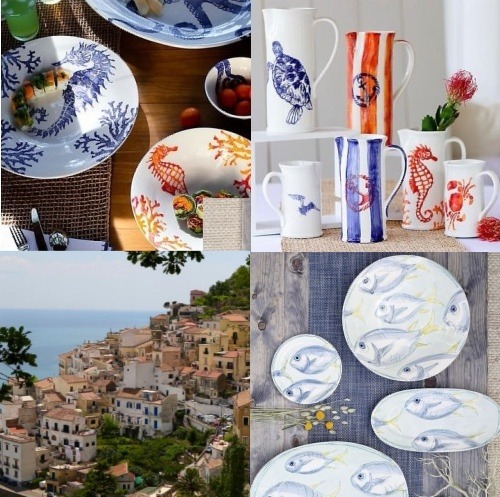 Handmade by skilled artisans in Italy, each piece has a one-of-a-kind allure that’s hard to resist -especially the ocean and coastal inspired motifs!